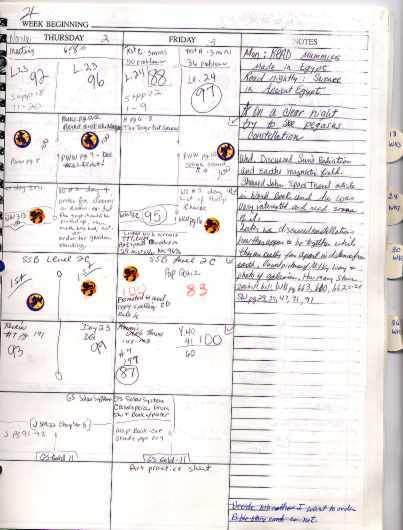 What you see here is a scan of the 2-page planner which I used 1997-98 for my two children. I liked stickers during that time. The stickers indicated a grade of 100 and my kids really liked getting a sticker when they made 100. We also maintained homemade sticker-books during that time as well. The round things attached to the edges of the pages are make-shift dividers. The make-shift dividers are made from round sticker sandwich. 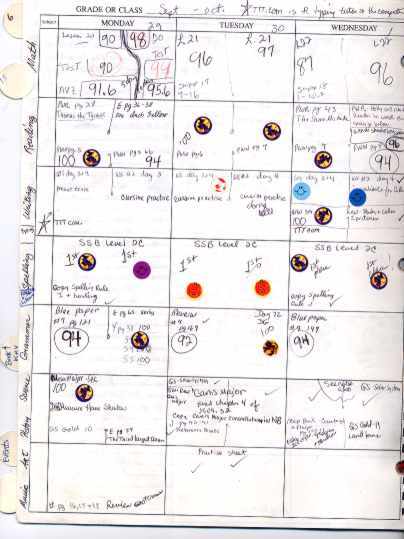 They were placed at 6-week intervals.